This brand new, one-of-a-kind comedy variety show at Stomping Ground will bring to life Weirdly World News, Viral Videos, plus interactive games, just to name a few! 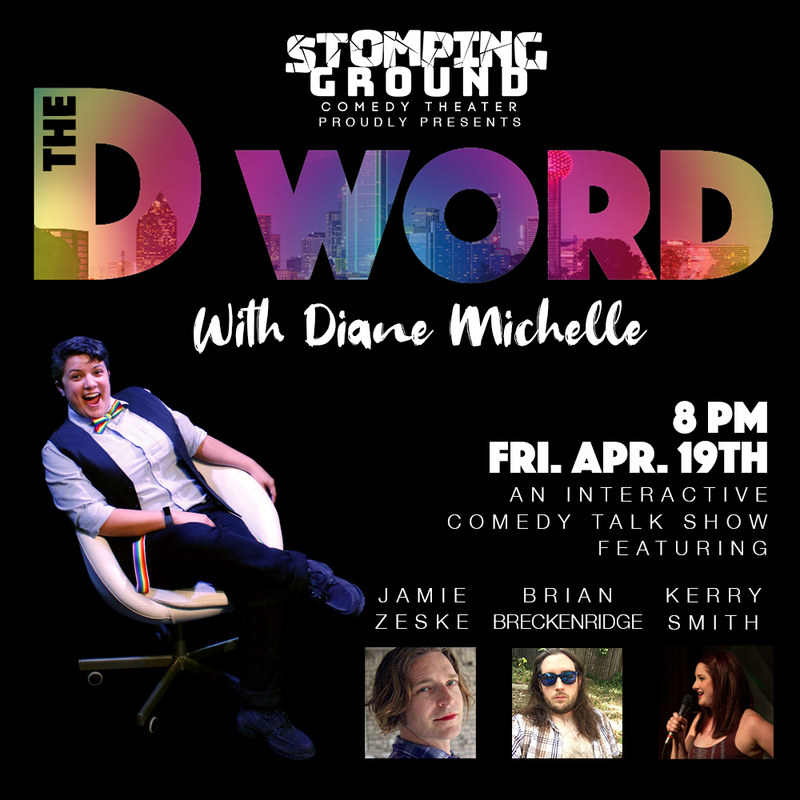 A rotating panel of guests of comedians will join host Diane Michelle each month to bring you The D Word. What does the “D” stand for? You’ll have to be there to find out. In honor of the special holiday weekend, this show will feature segments such as Build-a-Bong and Drug PSA Kids- Where Are They Now? This week’s panelists include comedians Kerry Smith, Brian Breckenridge and Jamie Ze . The D Word is written by Meili Chao, Aaron Figueroa, Michelle Redding, Danny Gallagher and Parth Shorey and is directed by Lindsay Goldapp.